When it comes to Hollywood and the scores of crap they regularly push, an Angry Birds movie might possibly be the single most original thought to ever leave Tinseltown. End sarcasm. 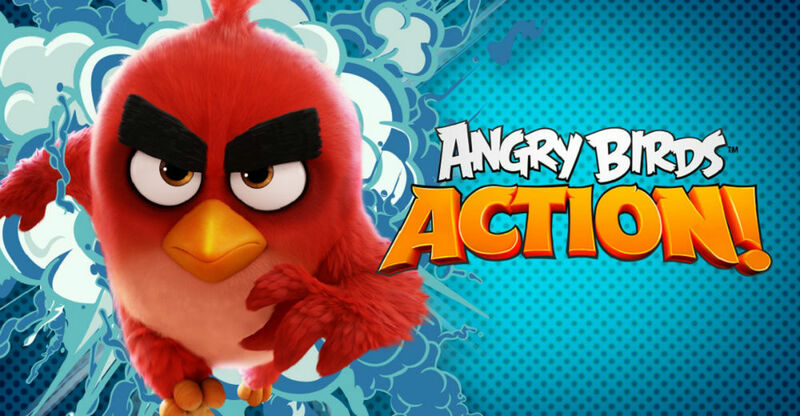 Hitting theaters in May, Rovio has been hyping Angry Birds Action! inside of Google Play for the past couple of weeks. And while having a new Angry Birds game is already awesome enough, much more importantly, players can unlock Piggy Island to watch an “exclusive” clip from the upcoming movie. As for gameplay, Angry Birds Action! is not a throwback to when the franchise was any good. Instead, it’s a game based off of the movie characters, including Red, Chuck, and Bomb. Instead of a platformer slingshot type of game, you are met by a pinball layout, with the player shooting characters at various objects to break them. It’s the same overall feel as the OG Angry Birds games, but definitely different in terms of looks. Players can also scan round badges they find to access new content, such as mini games, power ups for the game, and more. According to the app listing, these “BirdCodes” can be found all over, like at movie theaters, on Angry Birds toys, and other locations. Each code grants a different piece of content for the game. As previously mentioned, this entire game is essentially a commercial for the Angry Birds movie. Not only does the game build hype for the movie, but if you go watch the movie in theaters, then open the game when the end credits roll, you can unlock a whole new area to explore in the game, as well as an exclusive movie clip. While the grown-ups here may find this lame, your kids will love it.